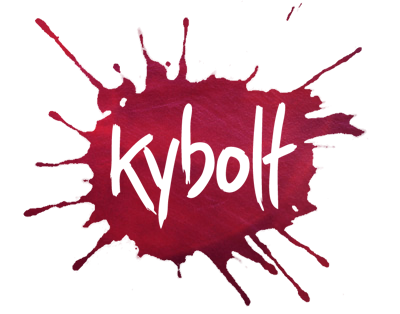 Kybolt is a small game studio based in Ireland, founded in 2013 by veteran modders Softmints and DarnYak. We're here to provide people with experiences that are connected, expressive, and self-developmental. We do that by working with international collaborators and our community to build memorable online multiplayer experiences, with a strong focus on moddability and the escalation of community-created content. We're currently working on a lane-pushing game for PC called Rise of Winterchill. If you have any questions, do feel free to contact us! Sean 'Softmints' Carton was the developer and designer of Rise of Winterchill: a highly polished Warcraft III® moba designed around great hero combat and abilities that challenge players. It was first in the genre to introduce vector targeting, captureable merc camps, and to eliminate stuns. These days, he authors the lane-pushing genre's most comprehensive game design and history resource Lane-Pushing Games, and works as lead designer on Kybolt's standalone sequel to Rise of Winterchill. Mike 'DarnYak' Lorz is best known for his extensive work on Eve of the Apocalypse: Twilight, one of the most intricate AoS maps ever made, and the first moba to support multiple battlefields, stat-scaling abilities, and several playable factions. EotA is enshrined as one of only six maps ever to make it into Blizzard's Battle.net Hall of Fame (alongside DotA and Tides of Blood), and has been the highest-rated moba on the Hive Workshop modding community site for close to a decade. DarnYak is also responsible for several other maps within the EotA lore, and works as the lead programmer for Kybolt.